With the wave of change and self introspection that is occurring nationwide there is coming a change in the smaller parts of our generations too. Welcome to Shimla! Some talented souls over here got together and showed to all that what togetherness can really achieve. 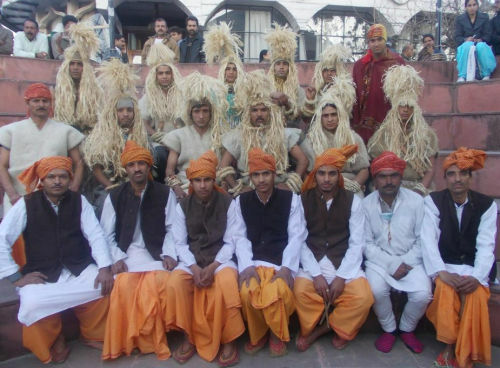 On 20th and 21st of August Malang Family (an association of various poets, musicians, singers and philosophers) performed for the very first time at the heritage Gaiety Theater, Shimla. Dreamz India Cine-stage with the support and help of Department of Language, Art and Culture, Shimla Himachal Pradesh managed to do something that not many of thinking mind have imagine of Shoryaveer Sagar, the founder of Shorya Group of Commercial Entertainment Establishment with his entire team members which include (to name a few) Uma Uday Dutt Bharti, Mukesh Lakhta, Ravi Nayar, Pravesh Jassal, Mohit Sehgal, Rohit Singh, Ashish Panaik Sharma and Harshendra Mehta put up a very nice effort on the whole. The show was named as the Alfaz-O-Sargam by Malang Musical Voyage; it was an “A Journey of thoughts, poems, music and songs”. 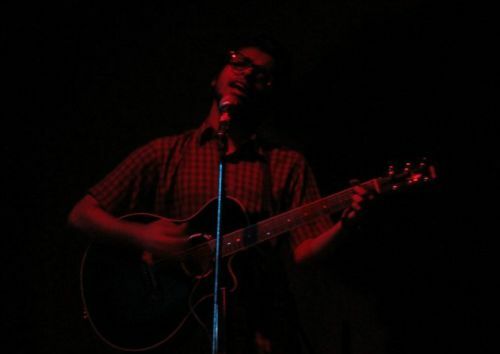 The surprising element of the show was a kid named Prathith who is a student of 2nd class playing guitar like a professional. With him were the young boys and girls namely Neha, Sarthak, Riya, Swati, Mehak, Nishtha, Kartik, Mayank, Gurmehar and Vinayak who all are students of Mohit Sehgal who teaches music to all these kids at his Zest School of Music at New Shimla. The show was divided into two parts. 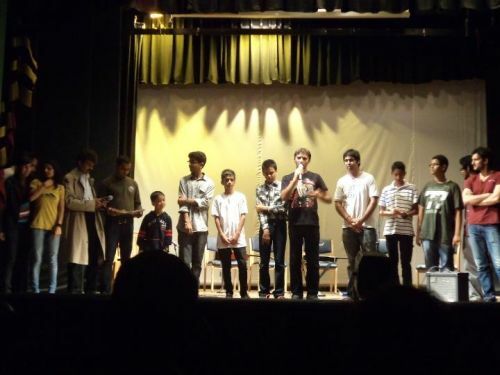 The first part consisted of the songs from few of the films which were performed by the kids. ‘Sajna aa bhi ja’ by Neha, ‘Phir Dekhiye’ by Riya and other girls, ‘Main taenu samjhawan ki’ by Sarthak, ‘Gulabi aankhein’ by Mohit and his students and an instrumental of ‘PeeLoon’ by Prathith. 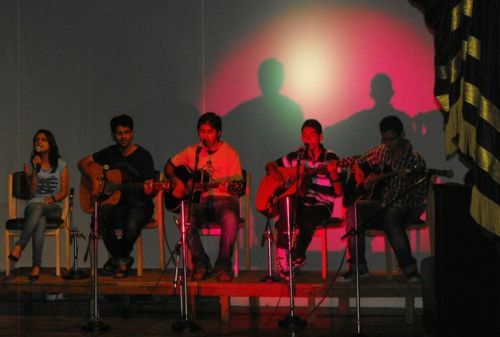 The second part of the show was all new to the audience as it had the songs and music self created by the Malang Family. Every song was really like a journey in itself. 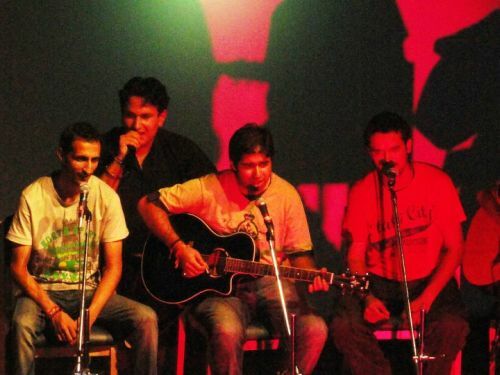 Maula by Shoryaveer, Ae-Bhaiya by Mohit, Socha na tha humne by Neha, Mitwa re by Harshendra, Suti rove (a pahari-hindi fusion lori) by Shoryaveer and Harshendra alongwith Ashish, Ae Pyar (Lullaby of Love by Mohit and Harshendra), Yaad ka Paani by Mohit, Another song for summer by Rohit Singh Jaane K Din by Mohit, Ashutosh, Ashish and Harshendra and finally the title song of Malang by all looted the hearts of the audience. From kids to elder members of the society everyone applauded for such a nice effort by the younger generation. The show was also ornamented well by the poetry of Pravesh Jassal, Ravi Nayar and KBDS Rawat who all are very active artists in the elder generation of artists. For both days people came and enjoyed the show. Malang while interacting with us told that it was the first live show of them so they did it for free but in future they will be performing on ticketing basis as the young talent also deserves to get some finance so as nurture the art in a better way. MalangFamily is soon going to launch its website and till then you can join its page on Facebook. Malang told that it needs blessing of all to keep on creating and sharing with all. It welcomes open heartedly anyone who is talented and wants to do something creative and innovative with a responsibility.